Wildcat strike action at Senate House.. and VICTORY! | Bloomsbury Fightback! Wildcat strike action at Senate House.. and VICTORY! The UNISON members complained of widespread, systematic missing overtime payments, and a failure to honour the University’s commitment to pay the Living Wage. 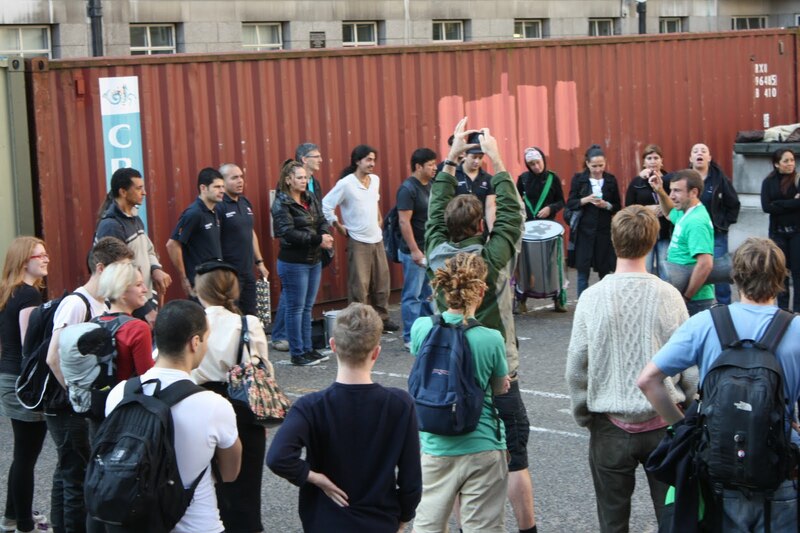 Their grievances had been going on for months, they were tired of waiting for false promises – as some of them had not been paid properly for up to eight months, and were having severe problems because of this, including some workers facing eviction – and so yesterday they decided to take action. Management tried to intimidate them with threats of dismissal if they walked out but they stood up to them. At 7.45am today they walked off the job and a solidarity protest had been arranged quicker than you can say ‘Wildcat’. 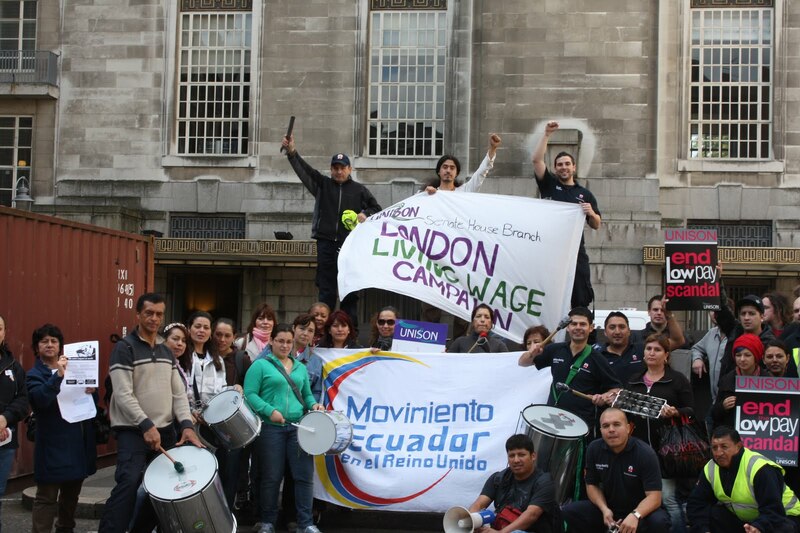 Local UNISON activists from the Bloomsbury Fightback! group and staff and students from the surrounding colleges had organised solidarity from the wider community to stand shoulder to shoulder alongside them. “Too often we in the union movement are frightened from taking unofficial action against an employer by the threat of Thatcher’s anti-union laws. “Yet employers like Balfour Beatty are quite willing to break the law themselves by failing to pay wages or other contractual obligations. “It is not the cleaners who have taken unofficial action today who should be worried, it is Balfour Beatty and Senate House who will be frightened by your actions. 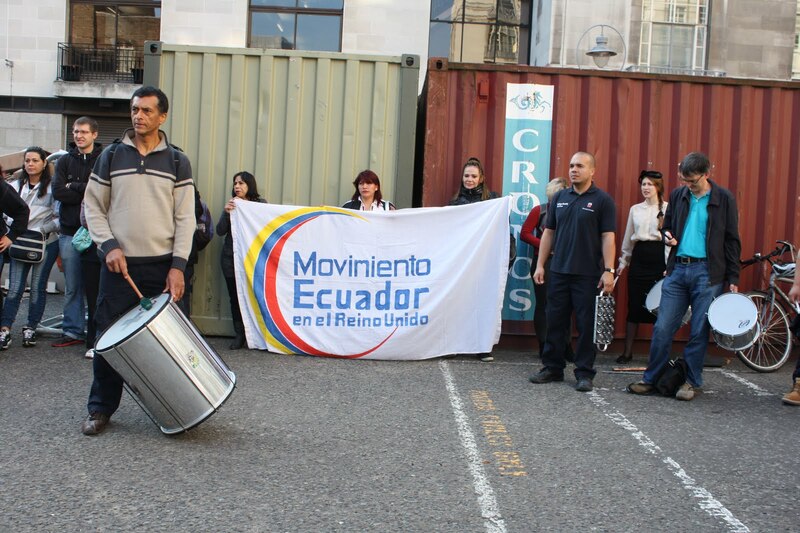 As I left the protest, the employer was conducting negotiations with them via their elected reps, and the unionised cleaners were insisting not only on their back-pay but also the London Living Wage (now £8.30) to be paid immediately. Currently they’re on £6.15ph, when workers in Birkbeck and SOAS doing similar jobs have just got a pay rise to £8.30 per hour, thanks to the successful Living Wage campaigns that the workers and the UNISON branches led with support from students, staff, and the other unions. They’re also demanding a commitment to no victimisations, of course. The employer had asked them to commit not to walking off the job again if they received their pay – and they quite rightly refused. Good for them – us trade unionists can so easily be put off by talk of what is and isn’t allowed under the law, but the key to winning should be about what is right and what are people prepared to stand up for. 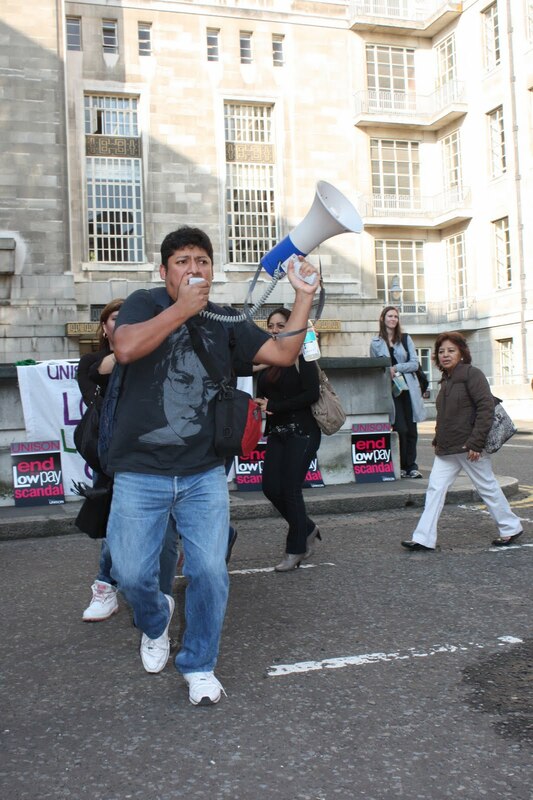 VICTORY FOR UNIVERSITY OF LONDON CLEANERS! Join the demonstration Wednesday 14 September, 11am, Senate House car park, central London.